MEPs approved a compromise agreement on Tuesday (14 April) on a law limiting the use of harmful biofuels, following extensive negotiations with the Council of Ministers. The new legislaton will cap the amount of biofuels from agricultural crops used to achieve the EU’s transport targets of 10% renewable energy by 2020. “It was a very challenging file and we didn’t achieve all we wanted to achieve. There are very different capabilities and approaches between member states on advanced biofuels, some are willing to go forward more than others, as well as a very profound disagreement on ILUC factors,” said MEP Nils Torvalds (ALDE). Unlimited use of biofuels over the years has increased food prices and deforestation, as biofuels and food crops compete for the same agricultural land. Parliament and the Council agreed to adopt a new law to diminish harmful effects on the environment from these biofuels, and from indirect land use change (ILUC). ILUC is the unintended consequence of releasing more carbon emissions after turning forests into agricultural land in response to the increased global demand for biofuels. “This is an important reform that will support the development of new advanced biofuels in Europe without hampering the use of climate-effective ethanol and biodiesel”, said MEP Christofer Fjellner (EPP), who is responsible for negotiations on the biofuels legislation. Environmental groups have cautiously welcomed the agreement, claiming it is not ambitious enough. “After years of industry and member state lobbying, this agreement is far weaker than the Commission’s original proposal. Nevertheless, it sends a clear signal that land-based biofuels have no future role to play in Europe,” said Pietro Caloprisco, Senior Policy Officer at Transport & Environment. Following lengthy negotiations, MEPs gave in to the Council of Ministers’ request to cap the use of harmful biofuels at 7%. The European Parliament had asked for a 6% cap, but compromised after a provision was included to allow member states to go lower if they wished so. Marc-Olivier Herman, Oxfam’s EU biofuels expert, said that the 7% target should be seen as a first step in limiting crop-based biofuels. “Europe must phase out these fuels completely so they can no longer jeopardize food security and contribute to climate change,” Herman said. Lawmakers also agreed to have fuel suppliers and the European Commission report on emissions deriving from ILUC. But they failed to have these emissions included in the carbon accounting, a method calculating for greenhouse gas emissions in order to identify the most polluting biofuels. This means that the most damaging biofuels will still be allowed to count towards renewable targets. It will also slow the move to advanced biofuels that derive from biomass other than food crops. Lawmakers took a less ambitious stand on advanced biofuels in the final text. MEPs accepted the Council’s proposal to set an optional target of 0.5% for advanced biofuels, instead of having a compulsory target, as previously demanded by the Parliament. Despite extended negotiations in trilogue meetings, the result was criticized by the Greens in the European Parliament, who voted against the adoption of the law. 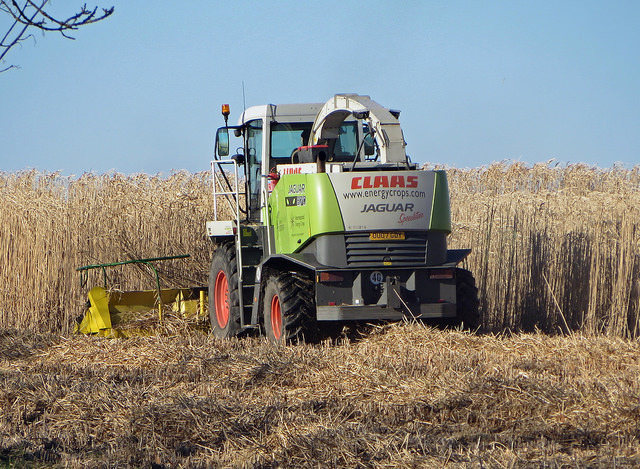 MEP Bas Eickhout (Greens), said that the agreement “falls far short of what is required to address the myriad of problems with the EU’s biofuels policy”. “This legislation was supposed to ensure the EU does not continue to promote biofuels that exacerbate climate change and have a negative social impact but what has been agreed and voted today will not do so. It is a major missed opportunity,” he said. The Social Democrats are not fully content with the result, either. “We would have liked to go further, but given the lack of cooperation in the Council, we felt that this was the best possible deal at the moment. It was obvious from the get-go that the Council had decided to give very little ground on this package, but to bend to the will of a strong industrial lobbying operation, to the point where trilogues were almost a charade,” said Seb Dance, the S&D’s environment spokesperson. “I am particularly saddened to see the Greens voting against this file – knowing only too well that having this achieved is better than nothing, while crowing that it isn’t good enough,” Dance concluded. "The Council has to be held responsible for the unambitious outcome of the trilogue. Such an uncompromising stance is not helpful for future cooperation. Nonetheless, we had to make an unsatisfactory yet responsible decision in support of the compromise. A rejection would have either left us with an even weaker outcome from the conciliation procedure or with no new legislation at all. This would have perpetuated the existing legal uncertainty after, which would be harmful for innovative investments in biofuels. "The political situation surrounding this reform has been extremely difficult after the European Parliament adopted a second reading position that put the entire biofuels reform at risk. I am relieved that the Environment Committee today decided to support the biofuels reform. Without a reform, the expansion of renewables in Europe would have been halted for the next 5-10 years." "The EU's move to slam the brakes on burning food in cars is welcome, and it marks the end of the road for unrestricted expansion of biofuels that are causing deforestation, land grabs and hunger. Europe next needs to phase out this reckless use of food for fuel completely, to remove the threat from biofuels to rainforests and communities." "The absence of binding targets for advanced biofuels and renewable energy (ethanol) use in petrol, both key measures to differentiate better biofuels, and both supported previously by the European Parliament on several occasions, undermines the core objectives of this reform. The non-inclusion of these items represents a missed opportunity to amend this legislation in a meaningful way that is consistent with the aims of the Commission’s original proposal." "In a time when Europe, more than ever, needs to focus on creating jobs and growth, the EU law makers are unfortunately, on the basis of misinformation, supporting a very shortsightedly one specific sector of the bio-economy by giving special protection for crude tall oil to be used for biofuel production. In practice, the ILUC Directive risks protecting certain fuel companies that may very well require infinite State support at the EU tax payer’s expense without which their business cannot run. EU decision makers adopting such regulation are unknowingly and/or without understanding of the bigger picture pulling away the carpet under the feet of an innovative biochemical sector that already is an excellent example of a successful bio-based industry in the EU. In addition with a twisted definition of “residue”, fuel companies in Finland and Sweden are able to circumventing obligatory sustainability criteria in EU’s renewable energy legislation, when using crude tall oil for fuel production." The EU has a target of 10% renewable energy in transport fuel by the year 2020, contained within the Renewable Energy Directive (RED). Meanwhile, the Fuel Quality Directive (FQD) requires a 6% reduction in the carbon footprint of transport fuels by the same year. EU negotiators have agreed to a 7% cap on biofuels made from food crops in transport fuel, in a move environmentalists say was a “timid step” in the right direction. Campaigners have pushed for the accounting of indirect land-use change (ILUC) from biofuels in EU legislation, saying demand for bioenergy in Europe was causing farmers in countries such as Indonesia to switch crops from food production to energy, causing a rise in food prices. Some in the biofuel industry argue that the issue could be tackled by a major overhaul of agricultural strategy to improve productivity or by pressing abandoned farmland back into action. Waste products from biofuel production can also be fed to animals, they say, reducing the pressure on land resources.